Because one day he will punch you so hard that something will burst out of your torso that absolutely shouldn't be in your torso in the first place. Seriously. For the past couple of issues of Superman, the Man of Steel and his family have been facing the threat of the Eradicator, an ancient Kryptonian superweapon who thinks he's trying to help Superman by destroying his impure, half-human son. Considering the fact that Clark Kent is a father is one of the most fascinating things about this current Superman run from Peter J. Tomasi, Patrick Gleason and John Kalisz, threatening Supes' son is a really bad idea, even if you're as powerful as the Eradicator is. Ouch. 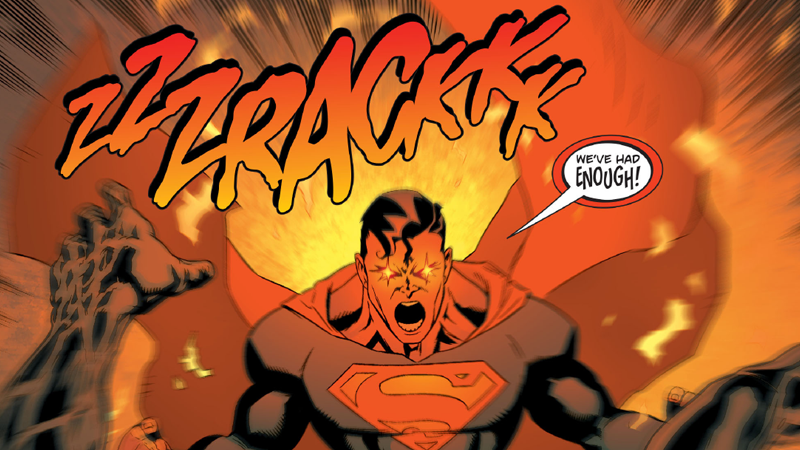 But Superman goes even further against the Eradicator, after casually punching him so hard he ejects the two of them out of the Moonbase they're fighting in and into space. 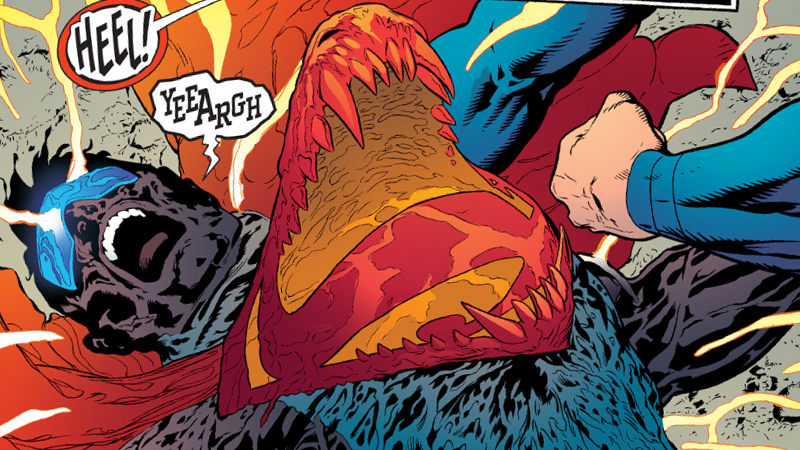 So, remember how in Superman #4 the Eradicator ate Krypto the Superdog, and it was kinda totally horrifyingly messed up? That's right. 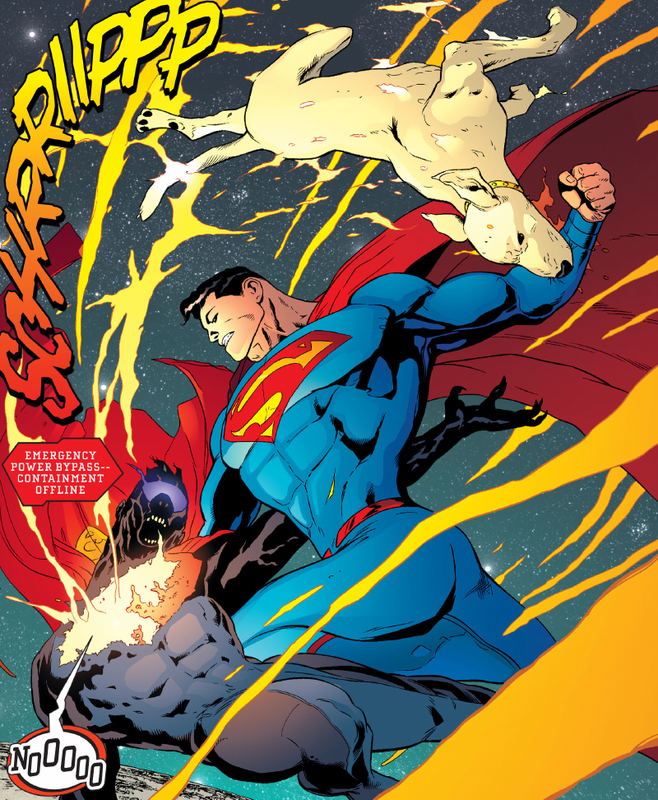 Superman just punched a guy so hard a dog burst out of his chest, like he was John Hurt in Alien. Krypto is back, in just as gross and weird a manner as his quasi-death was. At least he seems fine, considering the circumstances? 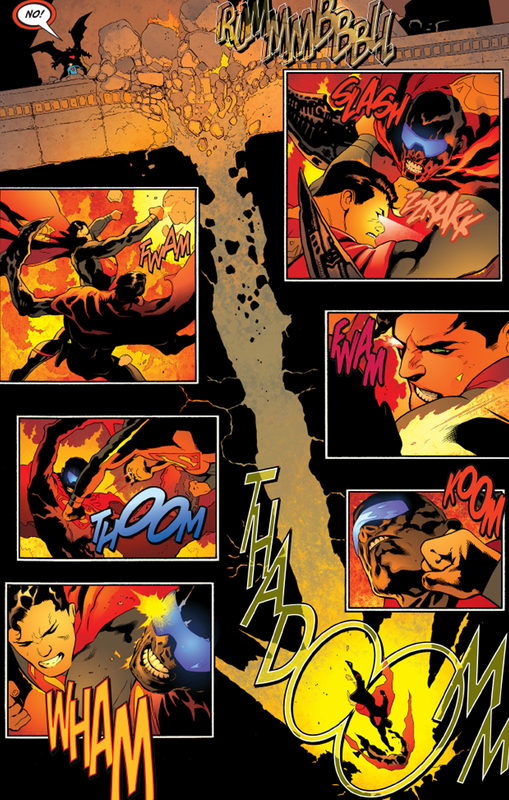 So, a reminder: Never mess with Superman's family. Ever. That's actually really cool and now I want to read this.